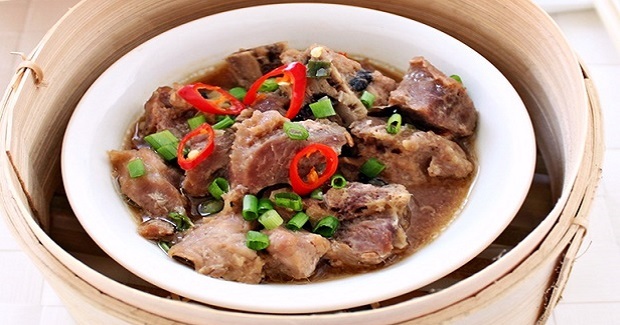 Dim Sum – Steamed Spare Ribs Recipe - Gutom Na! Posted on Tuesday, March 7th, 2017 at 2:21 pm. Combine all ingredients and seasoning together and marinate for 2 hours or more in the fridge. Then place seasoned spare ribs in a shallow dish plate and cover with aluminium foil, to prevent water drips. Steam at high heat for 20 minutes or until the spare ribs are well cooked (remember to add more hot water when the steaming water is drying out). Garnish with extra chopped spring onion and cut chillies on top before serve.